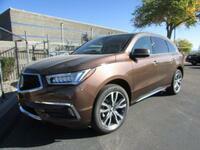 Here at Montano Acura in Albuquerque, New Mexico, one of our favorite vehicles is the 2017 Acura MDX. Available in seven vivid colors, the 2017 MDX has the look of a sports car with the body of a luxurious SUV. The front grille of the 2017 MDX has been outfitted with the signature diamond pentagon design that sets Acura vehicles apart from all others on the roads. The front LED headlights of the 2017 MDX are bigger, whiter, and last longer than traditional headlights allowing you to have a focused and precise beam looking far into the future. In the back, dual exhaust pipes have been outlined with chrome to add to the style and sophistication that flows out of the 2017 Acura MDX. 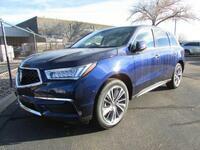 On the inside, the MDX has the capability to seat seven people comfortably. The people riding in the third row have access to their own set of cupholders and storage pockets. Simply press a button and one of the seats in the second row will slide itself forward, allowing for easy access to every seat. Speaking of seats, the driver’s seat of the 2017 MDX is able to remember two separate driver profiles which enable it to adjust to your personal settings automatically. No more spending time adjusting the seat after your partner has been out driving. Both of the front seats offer three levels of heating to make sure that you and your co-pilot are always comfortable during any long road trips. Let’s take a quick break from talking about the 2017 MDX to see how it compares to the 2017 Lincoln MKC. 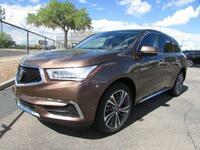 The 2017 Acura MDX and the 2017 Lincoln MKC are very similar in many different aspects, but as you can see, there were a few areas where the 2017 MKC wasn’t able to stack up against the 2017 MDX. With it’s larger cabin, the 2017 MDX allows drivers to haul more cargo than the 2017 MKC, all while giving you the same luxurious driving experience that you have come to expect from Acura vehicles. The standard Adaptive Cruise Control feature allows the 2017 MDX to monitor the vehicle in front of you, and adapt its speed based on what the other car does. 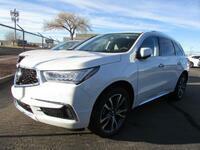 Also standard on the MDX is Lane-Departure Warning. This system uses sensors on the sides of your MDX to recognize lane position, and will alert you if you begin to veer into a different lane without using your turn signal. If you’re interested in learning more about some of the amazing features of the 2017 Acura MDX, we invite you to take a look at our research page with can be found right here on our website. 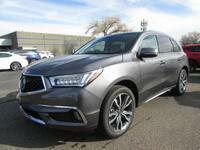 Or, if you’re more of a hands-on person, feel free to come on down to our dealership and take a look at the 2017 MDX, or any of our other Acura vehicles for yourself. While we’ve got you here, why don’t you schedule a test drive for one of our vehicles? Simply select the date and time that works best with your schedule, and we’ll make sure to have the keys ready for you when you pull into our lot.